Still looking for a few last-minute Christmas presents? Not to worry: We’ve collected our favorite gifts and goodies that you can order from the comfort of your couch. Merry shopping! 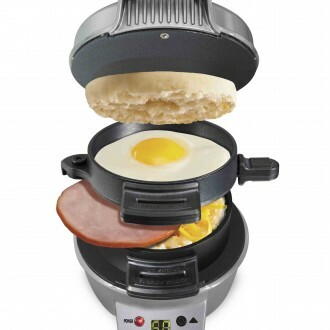 Keep cross-contamination in the dorm kitchen or frat house at bay with this Breakfast Sandwich Maker. Simply top your gluten-free English muffin or bagel with cheese and precooked meat or veggies and crack an egg in the top portion. In minutes, you’ll have toasted bread, melted cheese, warmed toppings and a freshly cooked egg—no trip to the dining hall required. Move over, Orville—it’s time for your college student to take control of her own popcorn destiny. 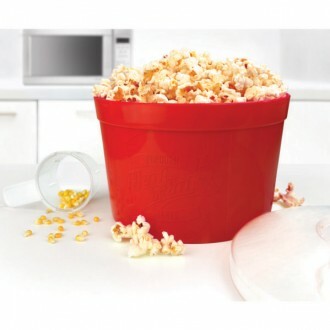 Instead of suffering through Styrofoam kernels and “natural butter flavorings,” your student will be able to create his or her own fluffy, perfectly popped corn in the microwave with this Microwave Popcorn Maker. The next Netflix binge-a-thon or Pitch Perfect screening session is definitely going to be at her place. 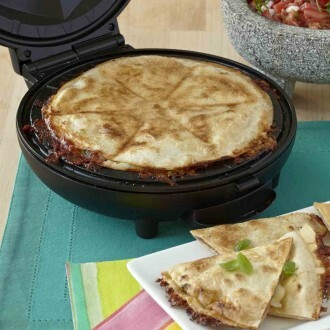 Quesadilla makers have long suffered a reputation as a counter space hoarder and a last-choice registry gift option, but we say the poor quesadilla maker has been wrongly maligned. This Quesadilla Maker is dorm-friendly, provides a contamination- and fire-free zone to make dinner, and requires just two budget-friendly ingredients—corn tortillas and cheese. Sure beats living on gummy bears and Diet Coke. Kids can hop on board the subscription box craze, too. 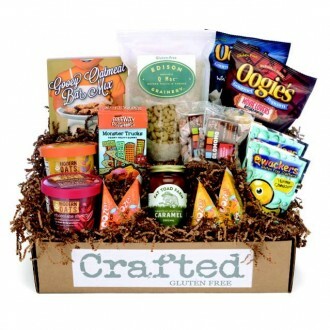 With the Crafted Gluten-Free monthly subscription box, they’ll receive a box in the mail stuffed with gluten-free kid-friendly treats. Popsicles, mac-and-cheese, monster truck-shaped gummies and “ooey gooey” oatmeal bars are just some of the fun items they’ll find tucked inside. Budding chefs, meet your new best friend. 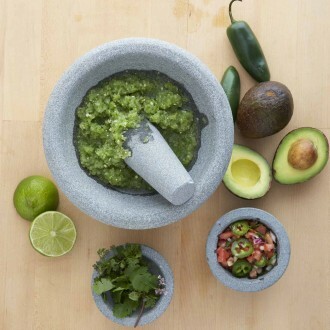 A mortar and pestle does so much more than make a great tableside crock o’ guac. It grinds seeds, crushes peppercorns, pulverizes chiles, purees garlic and laughs in the face of herbs and spices. It doubles as a serving dish for your salsas, guacamole and chutneys. And it’s way cooler-looking than a spice grinder. Put down the initialed towels. Step away from the monogrammed robe. 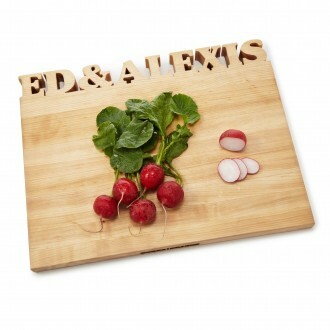 Give those foodies a personalized present that won’t make them feel like a walking L.L. Bean catalog with these hand-cut cutting boards. Your man is on the go, and sometimes he has to take his own gluten-free drink for poker night, a gathering to watch the big game or an epic ski trip. He deserves a drinking vessel as rugged as he is. 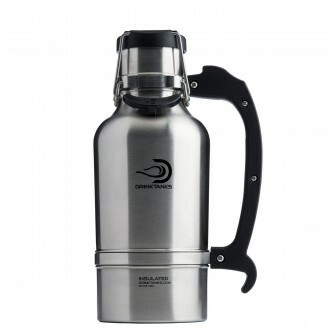 This stainless steel, leakproof DrinkTanks growler, hand-built in Oregon, will keep his hard cider or gluten-free beer safe and cold for more than 24 hours. Real men don’t buy their bacon at a store. If your house is a gluten-free, preservative-free, no refined sugar zone, no prepackaged slabs of pork belly will do. 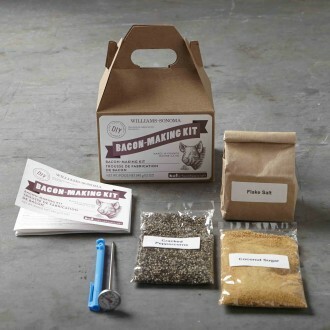 Let him cure his own bacon with this kit from Williams-Sonoma, which includes an all-natural curing blend, a thermometer and all the instructions he needs to get his DIY bacon on. Keep the shrimp cocktail cold or the baked brie hot with this elegant entertainment platter. The soapstone platter isn’t just easy on the eyes—it can be baked in the oven or chilled in the freezer to any desired temperature. 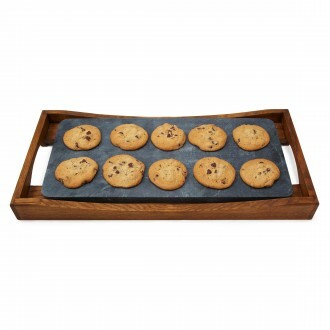 When your guests are ready to eat, the wooden carrier makes it simple to serve sans burnt thumbs or frostbitten fingers. Ah, chocolate-covered pretzels. So sweet. So salty. So often packed with gluten. 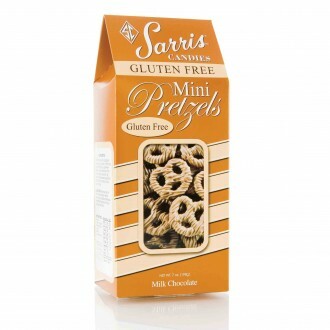 This year, let everyone on your list indulge in this classic creamy-crunchy combo with gluten-free chocolate-covered pretzels from Sarris Candies. Watching your sugar intake? 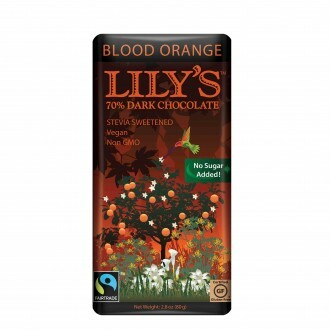 Lily’s stevia-sweetened chocolate bars may come to the rescue this Christmas. Stick with classics such as Almond, Crispy Rice or Sea Salt or be bold and opt for citrusy Bloody Orange. And since a portion of Lily’s profits goes to cancer research each year, this is a gift that truly keeps on giving. 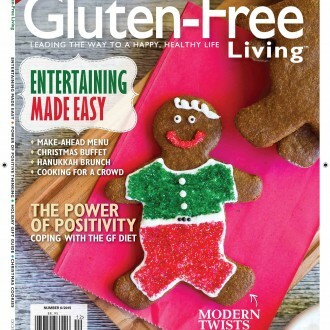 We may be biased, but we think a subscription to Gluten-Free Living is one of the best gifts you could give someone — or give yourself. Click here and use promo code XAKGFWP to receive a one-year subscription for just $20. Just $2 more using code XAKGFWC gets you a bonus digital subscription with exclusive digital bonus content. For more ideas, check out our previous gift guides here and here. Want more Gluten-Free Living in your life?